Ever wish there was an easier way to split a restaurant bill, divvy up cab fare or pay your share of a group gift purchase? When you don't have cash on you, Facebook Payments can help. All you need is your smartphone, an internet connection, and, of course, a Facebook account. Before you send your first payment to a friend (or multiple friends) via Messenger, however, you'll need to configure your payment settings through Facebook itself. Follow these instructions to set up your preferred payment method and start sending money to your friends. Facebook gives you several different payment method options, but only U.S. debit cards work specifically with the Facebook Payments in Messenger feature right now. Credit card and PayPal support may be added in the future. If you can check off all of the above requirements, then you can move on to setting up your first payment method on the app or the desktop web. Sign into your Facebook account and tap the hamburger icon (it's three horizontal lines that some think looks like a hamburger) in the bottom menu. Scroll down, tap Settings and then tap Payment Settings from the bottom menu that slides up. Tap New Credit or Debit Card to add your U.S. debit card, enter your card details into the given fields and then tap Save. Optionally add a PIN that you have to enter every time you want to send money so that you can review your transaction before it's sent. Tap PIN on the Payments Settings tab to enter a 4-digit number and then enter it again to confirm and enable it. Sign into your Facebook account and click the down arrow in the top right corner of the screen. Click Settings from the dropdown menu and then click Payments in the left sidebar. Click Account Settings at the top of the screen followed by Add Payment Method. Enter your U.S. debit card details into the given field and click Save. Once your payment method has been successfully added, you should see it listed under Payment Methods. Once you've added a payment method, it's super easy to figure out how to send money on Facebook to a friend safely and securely, either through the Messenger app or on the desktop web via Facebook.com. Payments aren't stored by Facebook and go straight to the recipient's bank account that's associated with their debit card. According to Facebook, you will not be charged a fee for sending (or receiving) money. Although the money is sent right away, it may take anywhere from 3 to 5 business days before the payment shows up in the recipient's bank account. Open the Messenger app and open a chat with the person you want to pay—either by tapping an existing chat under your Messages tab or by tapping the compose button and then typing your friend's name into the To: field. Tap the blue plus sign button that appears in the menu at the bottom of the screen. Tap the Payments option from the list that slides up. Enter the amount that you'd like to pay that friend and optionally specify what it's for in the field below it. Tap Pay in the top right corner to send your payment. Open a new (or existing) chat with the friend you want to pay by using the chat sidebar or by clicking the Messenger button in the top menu. Click the dollar sign ($) button in the bottom menu of the chat box. Enter the amount you want to pay and optionally specify what it's for. Click Pay to send your payment. If the recipient hasn't accepted your payment yet, send a message asking them to decline it if they haven't yet added a debit card. The payment will be automatically canceled if it's not accepted within seven days of being sent. If the recipient already accepted your payment, simply message them asking them to send the difference or full sum back to you. You can prevent payment mistakes by adding a PIN to your Payment Settings and leaving it turned on (as described in the fourth step of the Messenger app section in the first slide above). Note that a PIN can only be set up and used from within the Facebook mobile app and isn't yet available on the web version. In addition to being able to send payments to individual friends, Facebook also makes it possible for multiple members of a Facebook group to send their share of a group payment to a member who makes the request. You'll receive a chat request to make your payment if a group member requests a payment from you (and other members). If you're the group member who's handling the group payment, you can easily send your request for payment to everyone by opening a group chat (or starting a new one) and following the same instructions explained above for paying individual friends. 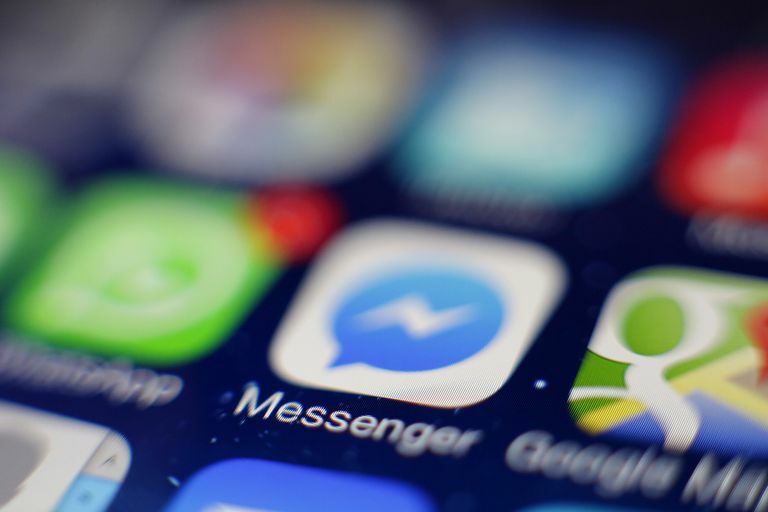 Note that group payments are currently only available on Messenger for Android and the desktop, but will be making its way to iOS devices soon. Before you enter the amount for your requested payment, you'll be shown a list of all the group members who are a part of that group. If you only want to include specific friends in the group payment, simply add a checkmark beside those friends only. You can also choose to include yourself if you're chipping in to pay the same amount as everyone. To make things even easier, Facebook lets you decide whether you want to enter a specific amount to request from everyone or a total sum amount that will be divided evenly among everyone. Once your request for payment has been sent to everyone, the group chat will display messages of the names of the members who've made their payment to help you keep track of them as they come in.